Video Example: The one goal of Real Estate is to enjoy the property, even if you got 100 percent screwed, you can enjoy, unless your neighbper is noisy. 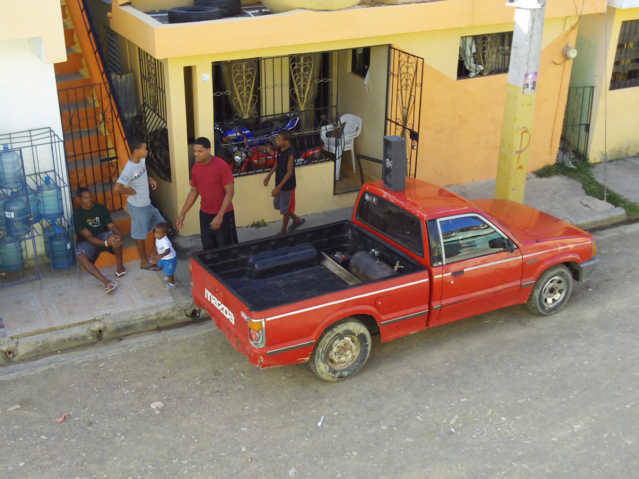 I am in Luperon, Dominican Republic today, I rented a room for from March 7, to April 7, 2012. The room inside is great, color TV, Cable, Fan, Dresser, Hot Water and Inverter so I have electricity 24 hours per day and highspeed Internet. I am paying 4500 Pesos per month. I have lived in about 800-1400 Hotel rooms in my 14 years of perpetual travel. I am experienced, I do great at avoiding noise. I rented the room for 2 days, before I paid for the month. There was no problem with noise. I have been here for seven days, for the last two days, this truck has set up in the street and turned on the Music. It is so loud, I cannot hear my television in my room. Noise is not the exception, it is normal to have very loud noise in 90 percent of the countries on the planet. There are no zoning laws, and I cannot even call the police. The locals young or old enjoy the loud music. My explanation is when you have no education, you cannot read, the TV, Music, and Sports are your only form of entertainment. Here they do play Dominoes on every corner. 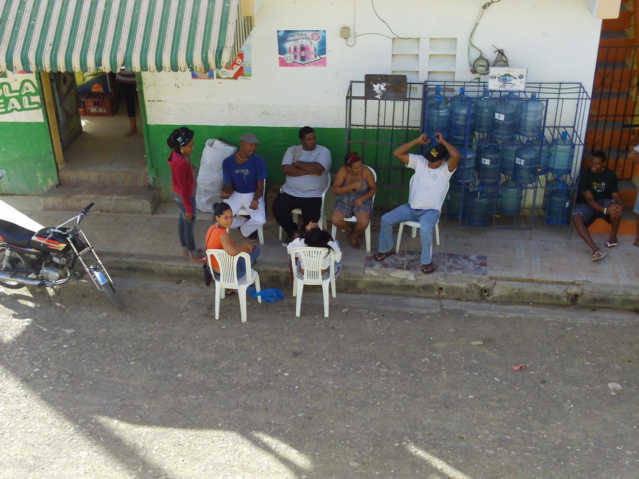 Work does not save me, the locals never go to work, they sit around in front of their homes 80 percent of the time. Now, the DR is three times as bad as other countries, because they have copied the Inner City Ghetto culture of the USA 90 percent. I am by default, living in USA Ghetto culture. I do not buy, and I make sure to be able to leave easily when I am in any culture or country. However, with no zoning laws, no police, you can buy a home and have this move in next door. The gated community, with 100 percent foreigners is the only possible solution. However, the cost of homes inside a gate community is 10 times more than the correct value. Which, you do not know until you try to sell, and you cannot sell. Then the home inside a gated community abroad takes 5-10 years to sell. Yes, people sell, but on average, this is probably the time. I was a broker for 14 years in the USA, I am 100 percent sure that 90 percent of the purchase of Real Estate abroad will slowly show in the next 10-20 years to be fiascos. Saving grace for Real Estate abroad is two things. 2. The buyer can go home and pretend they never did it. There is a shame in making bad investments, people seldom tell you. This is what happens for a ponzi scheme, the investors are too afraid to scrutinize, they may appear stupid. The only reason this is the saving grace at all is because nobody is telling, and if you want to try to sell your horrible investment to the next naive person moving abroad, it is possible. All the long-term buyers agree as a group to lie. That is the specialty of sites like Escape Artist, they sell to the next person. Money does not solve this noise problem. 1. If there is any home close enough to cause a noise problem, and then it can happen to you. This is the culture of the world, if it moves in next door, I am quite sure you will not be happy. If you do not like to hang around with the majority of a local culture, then you will not be able to resolve this cultural problem. 2. Buying a big lot is maybe the only solution, if a gated community allows the locals to live with you, then you could have the same problem. The solution is to rent month to month, and move when the problem starts. I listen, I look at the streets. If there are cars parked on the street, I want to live on a dead end street, and I seldom rent on a main street where the cars pass. If you live in a place for two years before you rent by the year, or buy, then you will have a better chance. Andy Graham 14 years of living abroad, in 90 countries. Noise is a huge quality-of-life issue in the developing world. Even if you find the perfect place, it doesn't seem to last for long. Stereos, evangelical churches, dogs, animals, stone crackers, construction... you name it. They will find you! A case in point: I'm living in a beautiful house on the shores of Lake Atitlan, Guatemala. The house is a 30 minute walk from town. Generally it's quiet... or was. Last week, the neighbour bought a cow. The cow lives on a small plot of land next to me. The cow is not happy and makes this known by mooing a lot. It's gotten better... but I knew the peace wouldn't last. Also, someone down the road got a new dog that can bark for up to 12 hours straight. I don't know how it breathes! There are no rules here. You either accept it, wear ear plugs (I do at night because of the stray dogs), or move. I would never, ever buy property abroad. Unless it was a castle on the top of a mountain far away from people. Rent and enjoy while you can. Move when it gets noisy... because it will! I thought it was kinda neat when I could hear the rooster crowing when I talked to you on skype.